The bioplastic specialist FKuR Kunststoff GmbH and Corbion Purac, global market leader in lactic acid, lactic acid derivatives and lactides, have joined forces to develop PLA (Poly Lactic Acid) compounds for both heat resistant and GMO-free applications. FKuR and Corbion Purac are targeting new bioplastic compounds for applications which include both food and non-food packaging, as well as several durable products e.g. toys and office supplies. In particular, Corbion Purac and FKuR will be working to develop those applications where high temperature resistance is required, which, until now, could not work with many standard bioplastics. In order to develop new markets for PLA, both partners have agreed to a common development. Historically, PLA´s greatest challenge has been withstanding higher temperatures. In ambient conditions during the summer, for example, unmodified PLA´s can experience difficulty maintaining dimensional stability in higher temperatures. In addition to heat resistant compounds, an additional focus is the optimization of mechanical properties to increase the range of applications, and to adapt the polymers to run on existing processing equipment. A part of the development project was also to reduce the cycle time of PLA, particularly during injection molding. After the initial highly promising trials in October 2013, FKuR has begun systematic testing using PLA based on lactides from Corbion Purac in its formulations. 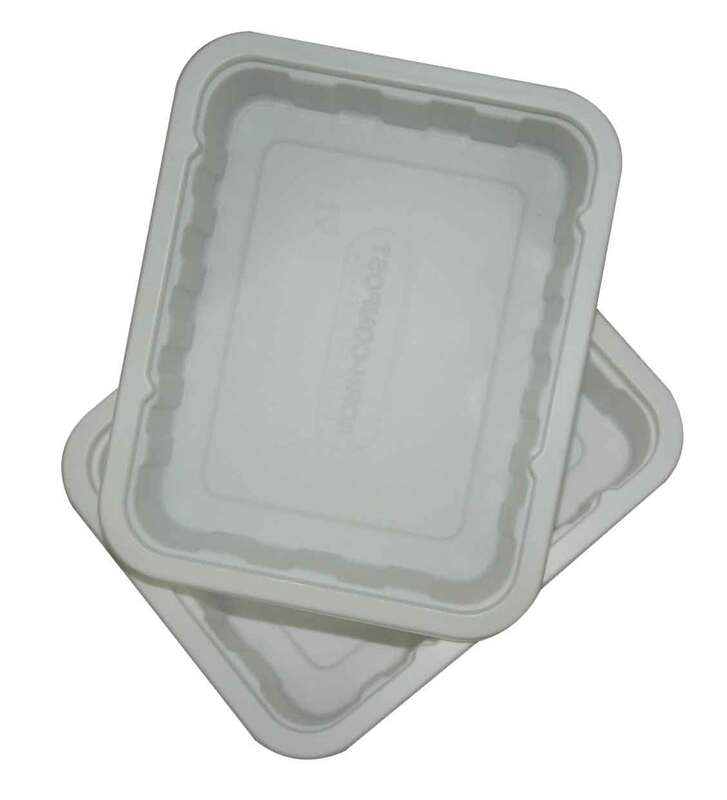 One of the first commercial applications resulting from this development work is a heat resistant thermoformed food tray, produced from Bio-Flex® F 6611 by Plastisud (Italy). This – and other packaging and serviceware products made from high-heat PLA – will be on display at the Interpack Show, from 8th – 14th May in Dusseldorf, Germany at the FKuR booth F14, hall 9 as well as Corbion Purac booth G11, hall 9. “FKuR, a recognized leading player in the development and production of bioplastics, is the right partner for Corbion Purac to develop compounds thus taking PLA further. By bringing together our expertise and combining our research strengths, we can develop biobased performance compounds to rival traditional fossil plastics,” said François de Bie, Marketing Director Bioplastics at Corbion Purac. Corbion Purac’s lactide monomers are sourced from GMO free, renewable feedstocks such as sugarcane, and form the basis for high performance Poly Lactic Acid bioplastics (PLA). The resulting homopolymers have already been proven to withstand boiling water, and can now boast performance characteristics to rival their oil-based counterparts. As a result, PLA can replace oil-based plastics and alleviate our dependency on fossil fuels.